Liftoff is targeting a 49-minute launch window opening at 23:53 UTC and Delta IV will be in action for 42 minutes to boost the satellite into a highly elliptical Geostationary Transfer Orbit. WGS builds the backbone of the U.S. military’s global communications network comprised of a series of satellites in Geostationary Orbit to deliver high-throughput communications services to a variety of ground terminals on ships, jets, unmanned drones and communications packages carried by individual soldiers. The system is operated alongside the U.S. Air Force’s AEHF and the Navy’s MUOS communications architectures that fulfill specialized functions for ultra-secure and mobile communications. 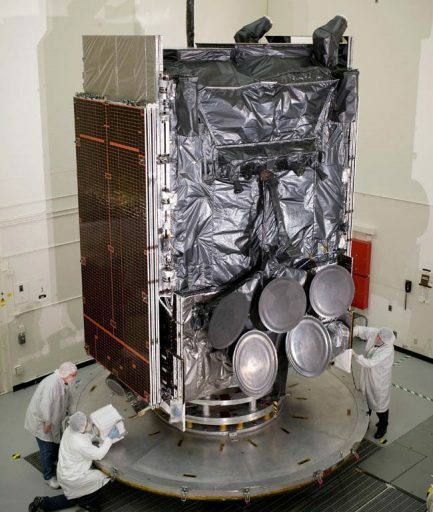 Work on WGS began back in 2001 to replace the aging Defence Satellite Communications System and Global Broadcast Service Satellites with new, state-of-the-art spacecraft that would increase communications capabilities by a factor of ten. 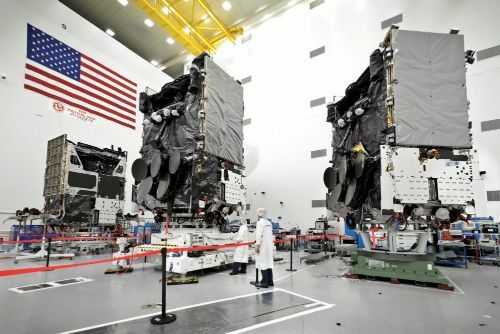 Built by Boeing based on the flight-proven 702HP platform, the WGS satellites offer 19 communications beams in the Ka- and X-Band frequencies with a unique feature of crossband communications in which the satellite converts the two frequency bands to enable a highly flexible communications network. The first three WGS satellites, each with a data throughput of 2.1 to 3.6 Gigabits per second, launched in 2007 and 2009 before the Block II generation of satellites made their debut with the launch of WGS-4 in 2012. 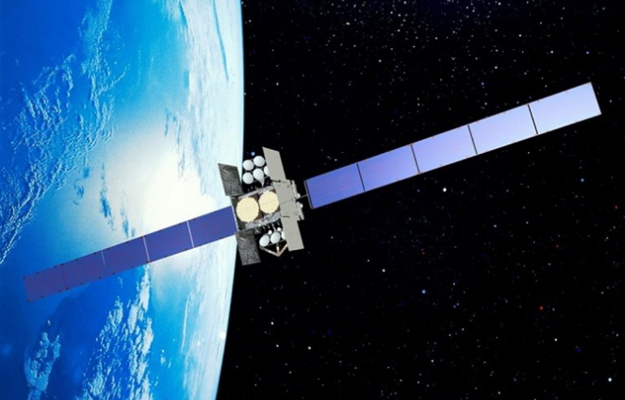 Block II satellites can support an enhanced throughput of 6Gbps and offer optimized communications support for unmanned aerial vehicles that require high-bandwidth and data rates for video and command communications with low latency. 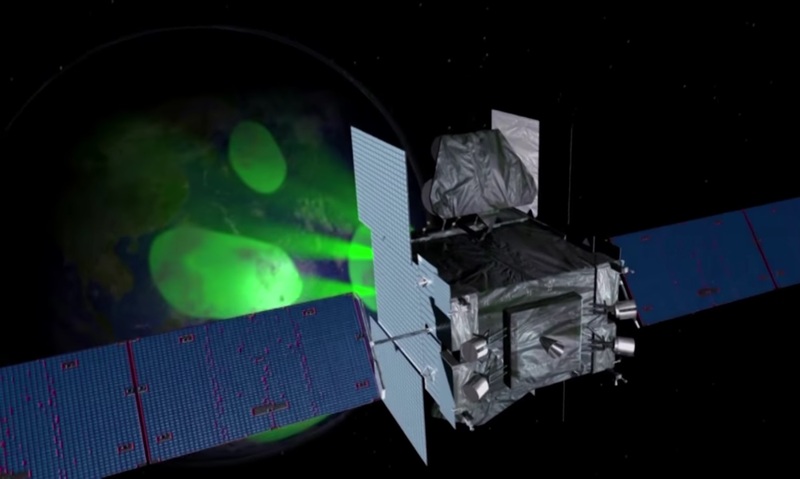 WGS-5 and 6 launched in 2013 and the seventh WGS satellite was lifted into orbit last year. 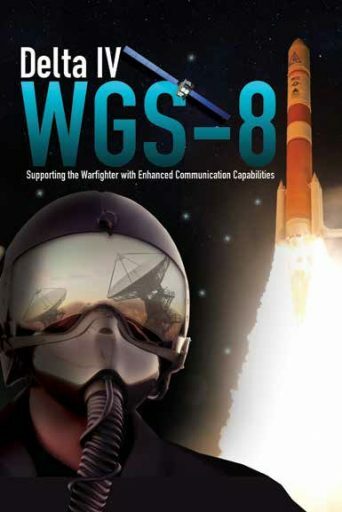 The WGS-8 satellite represents a $426 million investment by the Pentagon to further enhance the satellite constellation by adding a Wideband Digital Channelizer which builds the heart of the satellite’s communications package, tasked with the conversion of uplink and downlink signals between the different frequency bands. Built around new Application Specific Integrated Circuit Technology, the new channelizer boosts the satellite’s data throughput to 11Gbps while also opening up more flexible communications and releasing additional bandwidth to users. 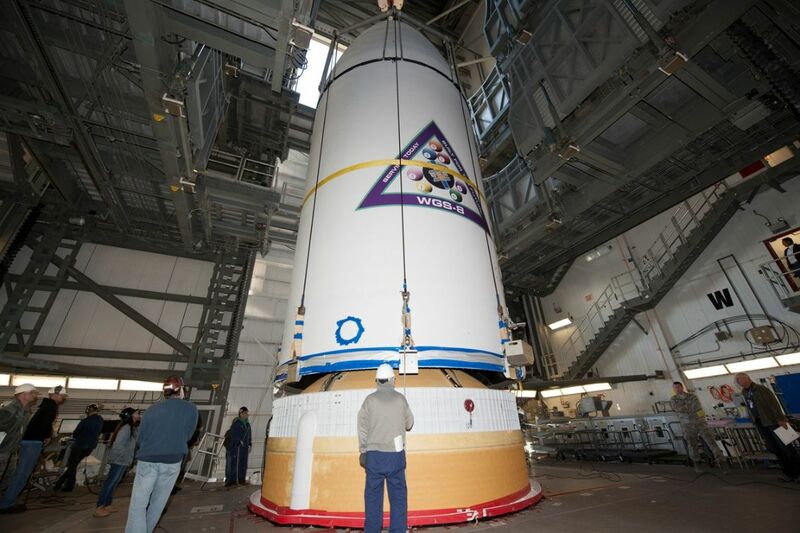 WGS-9 and 10 will also fly the upgraded communications package. Operated from Geostationary Orbit where their orbital velocity matches that of the Earth’s rotation, the satellites remain locked over a specific spot over the globe, each delivering 19 high-throughput communication beams: nine are electronically-shaped X-Band beams provided by separate phased array antennas, ten are steerable Ka-Band beams delivered by gimbaling dish antennas, and the remaining beam is a global X-Band coverage zone to deliver broadcast services. When finished in 2018, WGS will consist of ten operational satellites, accessible by the U.S. military, the White House & State Department as well as foreign users Canada, Australia, Denmark, the Netherlands, Luxembourg and New Zealand. Communications provided by WGS can range from unclassified signals to encrypted signals to cater to a variety of needs. WGS supports video relay from unmanned drones, voice calls and data messages such as maps provided to soldiers in the field, and quality-of-life services such as television and E-Mail services for troops in remote areas of the globe. 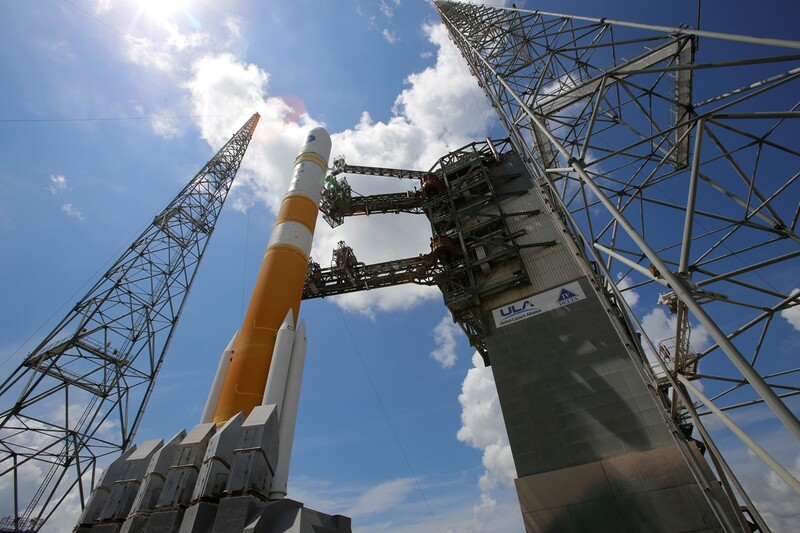 Weighing in at almost six metric tons, WGS 8 requires the most powerful of the “single stick” Delta IV variants, enlisting the help of four Solid Rocket Boosters and a larger second stage to lift the satellite into a Supersynchronous Transfer Orbit. Designated Delta IV M+(5,4), the vehicle so far has only been flown in support of WGS, beginning with the WGS 3 satellite. United Launch Alliance will retire the single-stick Delta IV versions by the end of 2018 with four more launches remaining after this one to finish deploying the WGS constellation and lift the NROL-47 satellite for the National Reconnaissance Office and deploy the first GPS III navigation satellite. Delta IV Heavy, flying with three cores strapped together, is booked for seven missions through 2023 before ULA’s Vulcan rocket takes over from the Atlas and Delta launch vehicles. The weather forecast for Wednesday’s launch opportunity is looking mostly optimistic with an 80% chance of favorable conditions given by the 45th Weather Squadron. Thick clouds are the main concern for Wednesday’s 49-minute window as an upper-level low passes through Florida in the overnight hours to Wednesday and could cause thick cloud layers into the evening hours should the front not move as expected. In case of a 24-hour launch delay to Thursday, odds of favorable conditions dip to 40%. United Launch Alliance and satellite managers convened on Tuesday to perform the Launch Readiness Review to clear the Delta IV rocket to head into a lengthy countdown operation on Wednesday, beginning just before noon, local time, when the Mobile Service Tower will be retracted to reveal the 66-meter tall rocket atop its Cape Canaveral launch pad. RIFCA, the Redundant Inertial Flight Control Assembly, will be activated and put through detailed checks while teams at the pad finish buttoning up all facilities for liftoff and Air Force Range Controllers begin watching over the launch corridor. Propellant loading operations pick up at 20:30 UTC to fill the two-stage rocket with supercold Liquid Oxygen and Liquid Hydrogen propellant with the first stage receiving 202 metric tons of the cryogenic propellant combination and the five-meter second stage is loaded with 27,220kg. When entering the final hour of the countdown, Delta IV will complete engine steering checks and receive an optimized version of its flight software as teams proceed into a final hold of the countdown at T-4 minutes for a status check prior to committing to terminal countdown operations. 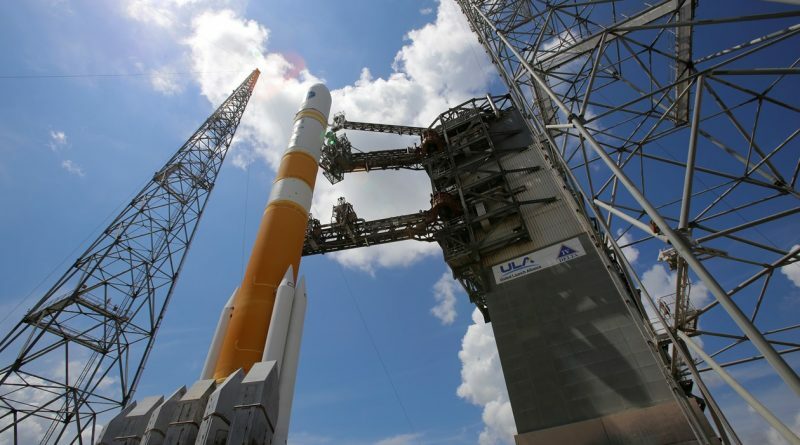 Pressing into a highly automated countdown sequence, Delta IV will make its way to internal power, pressurize its propellant tanks and set up its hydraulics system. A final thrust vector check on the boosters occurs at T-25 seconds and is followed by the ignition of the sparklers beneath the main engine and the handoff of control to the Delta IV rocket at T-8.5 seconds. At T-0.04 seconds, Delta IV is committed to launch with Booster Ignition occurring simultaneously with Hold-Down Release and liftoff of the launch vehicle, thundering uphill with a total thrust of 657-metric tons. Lighting up the night skies over Cape Canaveral, Delta IV will rise vertically for the first seven seconds of flight before pitching and rolling onto the standard south-easterly departure to reach a Geostationary Transfer Orbit. Delta IV will pass the speed of sound just over half a minute into the mission and encounter Maximum Dynamic Pressure at T+46 seconds. The four boosters will burn out 92 seconds into the flight after each consumed 30 metric tons of propellant to send the rocket on its way. Delta IV holds the 15-meter long boosters for nine seconds after burnout before separating them in pairs and continuing towards orbit powered by the RS-68A alone. Payload fairing separation occurs three minutes and 14 seconds after liftoff when Delta IV will have departed the dense atmosphere, revealing WGS-8 for the rest of its journey into orbit. RS-68A will finish its job three minutes and 56 seconds after liftoff and the 40.8-meter long Common Booster Core separates six seconds later to drop away from the Delta Cryogenic Second Stage. Once clear of the first stage, the RL-10B-2 engine will deploy its nozzle extension for ignition on its first of two burns at T+4 minutes and 15 seconds. Generating 11,200 Kilogram-force of thrust, RL-10 will first fire for a long burn of 15 minutes and 37 seconds to lift the stack into a Low Earth Parking Orbit for a brief coast phase of just under ten minutes. This short passive flight phase allows the stack to reach the proper position for the second burn to place the high-point of the Supersynchronous Transfer Orbit at the proper position for phasing into the GEO Belt. The RL-10 engine will come to life a second time at T+29:27 for a burn of three minutes and seven seconds, targeting a highly elliptical orbit of 435 by 44,378 Kilometers, inclined 27 degrees from where the WGS 8 satellite will use its own engine to maneuver into an as of yet unknown position in Geostationary Orbit. Spacecraft separation is planned 41 minutes and 44 seconds after launch to mark the completion of the 34th Delta IV mission. 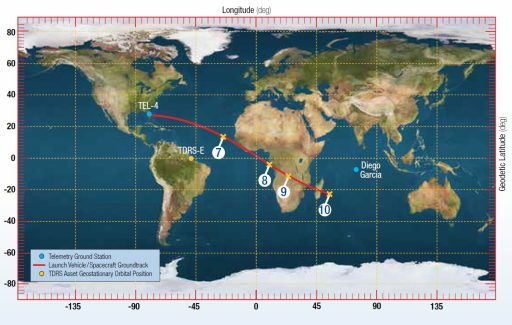 The insertion orbit for WGS 8 is slightly lower than that of its predecessors because the DCSS upper stage will have to save fuel to complete a deorbit maneuver in a quest to remove rocket stages from populated orbits whenever possible to mitigate the growing space debris problem. Wednesday’s launch marks the seventh and final orbital launch in support of U.S. National Security in 2016. Copyright © 2019 Delta IV – WGS-8 | Spaceflight101. All rights reserved.